Whether you are moving down the street or across the country, moving can be stressful. This is especially true if you must adhere to a tight budget. How do you accomplish everything on your To-Do List, on time and without breaking the bank? The key to a successful, inexpensive move is preparation and organization. A move involves transporting all your belongings from your current home to your new one. You must also consider how one very important possession will get to your new home. This would be your car. Auto transport services are very beneficial for those that own multiple vehicles or who have limited availability. This makes driving to the destination difficult or nearly impossible. National Dispatch is here to help with 10 ways to save on moving costs, including the shipment of your vehicle. Leaving the work to the professionals is not a decision you will regret when it comes to moving to a new house. Many people hire a reliable moving company to assist them in safely transporting their belongings. What some individuals forget about is the transport of their vehicle, especially in the case of a long-distance move. Hiring a professional auto transport company can be the perfect solution when moving across the country. It frees up time, so that you can focus on other more important moving day tasks. Furthermore, it saves you money in the long run. In comparison to a Do-It-Yourself move, auto transport is a safer method of transport. If you know that hiring a car shipping company is the way to go, now you must figure out how it fits into the budget. The cost to ship a vehicle varies depending on the type of car, condition of the vehicle, distance, and more. Look at the various shipping options. You can save money by transporting via an open-air carrier. Unless you own a high-value vehicle, then open auto transport should suffice. Learn more about open auto shipping and enclosed auto shipping. We are all guilty of putting things off until the last minute, from time to time. In many cases, we do this because it is a mundane task that we do not want to complete. However, eventually, it will need to be done. There are many tasks that must be completed when moving to a new home. This includes packing, requesting quotes from moving companies, scheduling travel arrangements, completing a change of address, and cutting off utility services. It is necessary to stay organized and have time management strategies. Otherwise, you might miss out moving with the best company, available. Start early. This gives you time to research and look for a car shipping company. Complete the task in small sections. Do not feel obligated to pack up your entire house at one time. Instead, space it out. This will help you from becoming overwhelmed with the daunting task ahead of you. Establish a timeline. Give each task a deadline, in which you would like to complete them by leading up to your move. Have everything completed by moving day, so that all you have to do is supervise. 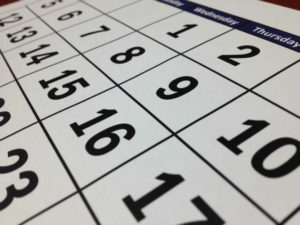 One key to saving money during a move is the ability to be flexible with dates. You must understand when the car moving industry is the busiest. Summer is peak season, as most children are out of school. Everyone is in a rush to get everything done before school starts back again. Fall and winter tend to be slower seasons, but there are still holidays to keep in mind. Plus, you run into the risk of delays from transporting during a bad winter storm. There is also the snowbird rush to consider, which would include those individuals living in the north temporarily moving south for the winter. Most people do not have the option to wait to move on their own time schedule. Whenever and wherever in the United States you need to move, National Dispatch can assist you. We recommend you start the process early to ensure that your car arrives on time. We also offer shipping options for those needing their car on short notice. At National Dispatch, we provide car shipping services to meet the needs of not only individuals but corporations, also. The car shipping process can be confusing, especially for first-timers. Plus, not all car shipping companies operate in the same way. Get all your questions answered by an auto transport professional before booking services. This way you know exactly what to expect for the shipment of your vehicle. In addition, you can avoid any hidden moving costs. 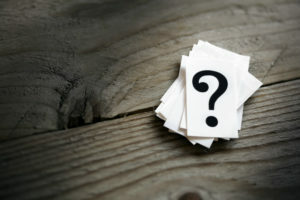 What questions should you ask? You should ask questions regarding costs, insurance, and pick-up/delivery times. It is important to understand what your quote covers before signing any paperwork. It is also crucial to understand the company’s insurance policy. At National Dispatch, we want you to have the best auto shipping experience, possible. For added convenience, we offer door-to-door services. This means that the driver will come directly to you to pick up the vehicle. After you have conducted a vehicle inspection report with the driver, the car will be loaded onto the carrier for transport. Shortly thereafter, it will arrive safely at its destination. You will be notified every step of the way. You never should worry where your car is at on the road or when it will arrive. Get more of your questions answered by reading 14 Car Shipping Questions Answered. 5. Toss Items You Do Not Use. Sort through all your belongings before a big move. Many people realize while unpacking that they do not actually need or use everything they own. Therefore, think carefully about what you bring to your new home. It could save you time, energy, and money. More stuff means more items to pack, move, and unpack. Ask yourself if you use it, would miss it if it was gone, and if it is still in good condition. Set aside different piles for what you want to toss, donate, and sell. Some home movers use weight as a factor in estimating costs. Therefore, consider how much stuff you own. There is no better time to go through everything you own than before moving to a new house. This is especially necessary for those looking to downsize to a smaller property. You will not feel cluttered, and there is no need to pay for a storage unit. Before buying any new furniture, take measurements of your new home to ensure it will fit nicely. You do not want to buy a new sectional, only to find out it will not fit in your living room, comfortably. 6. Ask Around For Packing Supplies. There are some necessary supplies you must have to move. This would include boxes, tape, and packing paper (or other protective material). You can save money by reusing supplies from others or by using items that you might already have on hand. It also helps the environment by recycling materials. It may take a little time to find boxes in good condition. The boxes need to be sturdy enough to safely transport all your belongings during the move. You can find free boxes and packing supplies, just about anywhere. Before going out and dropping a bunch of money on packing supplies, ask friends, family, co-workers, and neighbors. Ask anyone you know who has recently gone through a move. They would probably still have a few boxes or other supplies on hand. Check with your local liquor store, grocery store, or large retail stores. You can also check online through Facebook groups and community pages, as well as on Craigslist’s free section.In the place of packing paper, you can use clothes and towels to protect your valuables. 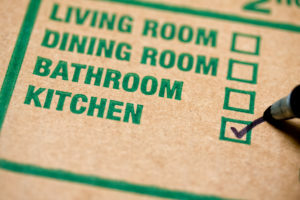 To stay organized and prevent chaos during a move, you must create a labeling system for all your boxes. There is no one appropriate way to label. However, you should use the correct markers, ones which are permanent and waterproof. You never know how the weather will be. In addition, the label should always be visible from at least one side when the boxes are stacked. This way you do not have to search to find which room the box belongs in or what items it contains. Labeling boxes speeds up the moving process. It also helps ensure that items get to their intended place. It is crucial that you mark valuables with “FRAGILE”. This way whoever is carrying the box knows to treat it with extra care. You can even utilize a color-coding system, giving each room a different color. However, you must ensure that you or your movers know what each color means. You can place a color paper on the door of the room to make the process simpler. It does not matter which system you use for you move. Proper labeling saves time and money. If done correctly, each item will arrive safely in its designated place. 8. Have A Yard Sale. 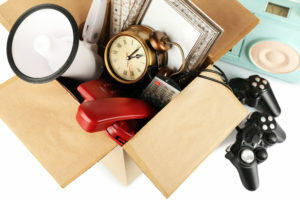 We previously discussed sorting through your old belongings. With a little planning, you can get rid of those unwanted items and make some extra cash in the process. Designate a few boxes specifically for a yard sale. 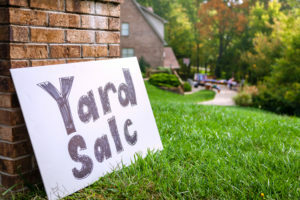 If you do not have enough items to sell, consider going in with a friend or neighbor. Organization and preparation are keys to a successful yard sale. After deciding on a date, advertise through social media and word of mouth. Tell all your friends and family. Then, they can tell everyone they know. The objective is to get rid of everything. A benefit is that you can make a little extra money. Be realistic when pricing items. Do not mark the item as what you paid for it. Try to keep the area organized. In addition, it might be a good idea to have change before the start of your yard sale. Your first customer may not have exact cash. For the items that do not sell, consider donating them to charity. It may qualify for a tax deduction. After donating, you will need to get a receipt from the donation center. 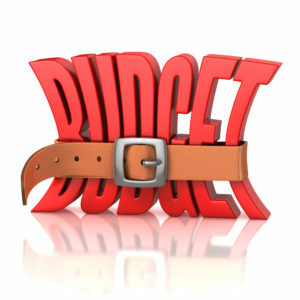 Establishing a budget is an important part of planning a move. 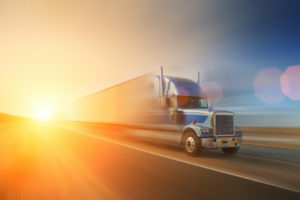 Moving with an auto transport company can save you money. You do not have to calculate in the cost of gas, mileage, equipment rental, lodging, and meals like you would if you were driving. With auto shipping, you must pay for the cost to ship your car to its destination, as well as the cost of a flight. Not preparing financially for a move could cost you more in the long run. You may even consider setting aside money for an emergency fund. It would help you out if an unforeseen circumstance were to arise. Let’s say after a few days in your new home, there is a plumbing problem. This would be the money to use in this situation. An emergency fund would also come in handy in numerous other situations. It would be helpful in the case of a car problem, unexpected medical expense, natural disaster, and more. You never know what might happen. It is better to be prepared for the unexpected. 10. 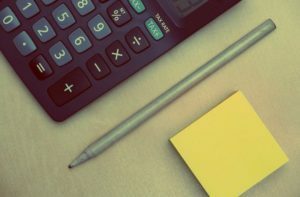 See About Deducting Expenses From Taxes. No one likes moving. Unfortunately, most everyone will move at some point in their lifetime. Wouldn’t it be nice to deduct those moving expenses from your taxes? You may qualify for a tax deductible moving expense. The IRS has specific criteria and requirements outlining a move of this kind. First, your new home must be located at least 50 miles further than your previous work location was from your old home. If this sounds confusing, there is a worksheet available (IRS form 3903) to help you figure it out. You must have also worked for a certain amount of time before the move. A variety of expenses can be deducted. This would include travel costs: toll fares, hotel stays, and gas purchases. The cost of food does not count. 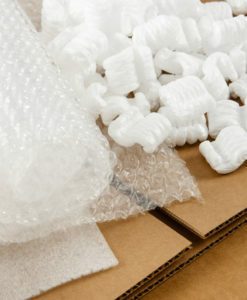 Packing materials and supplies can be deducted, as well as some utility fees. You should keep track of all expenses, and hold on to all receipts for your records. For more information on tax deductible moving expenses, go to the IRS website. If you are relocating with a company, consider asking your company’s HR department about their relocation policy and compensation for moving costs. National Dispatch is a nationwide car shipping company. For a free, instant car moving quote, use our online quote calculator. No personal information is required. To speak with a representative by phone, call us at 800-321-2051.